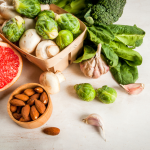 This post was made possible by my friends at Mann’s Veggies, KIND bars and California Almonds. As always, opinions are my own! 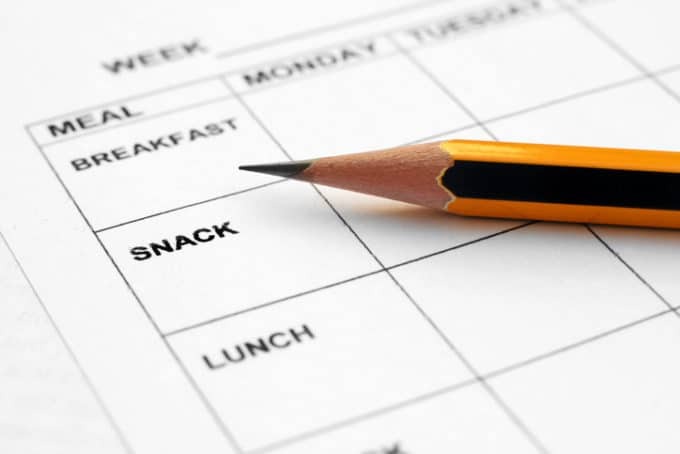 Set aside some time to plan out your meals and snacks before you leave – jot down a rough menu plan so that you aren’t left scrambling at the last minute. A menu plan can help to ensure that you have enough food for everyone, and that you’re not over-packing. 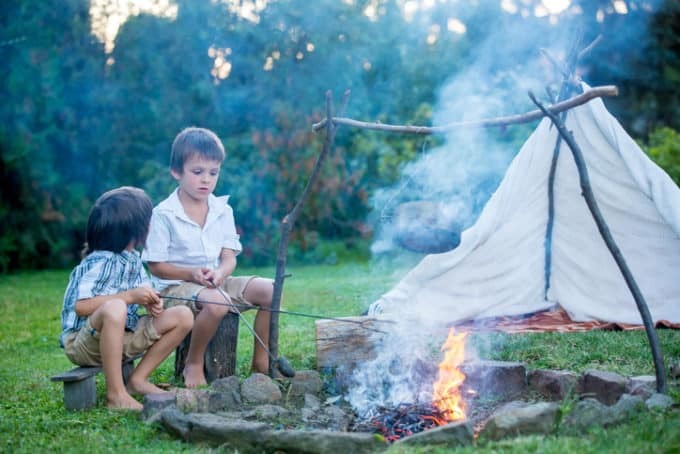 Gather proper camping cooking equipment such as stove, plates, utensils, napkins, wipes, and soap, and prepare whatever you can in advance such as homemade trailmix, homemade baking, no-bake energy balls, etc. Make sure to bring containers to store leftovers and use for portable meals and snacks. Tinfoil is also really handy for cooking things like fish or baked potatoes over the fire! 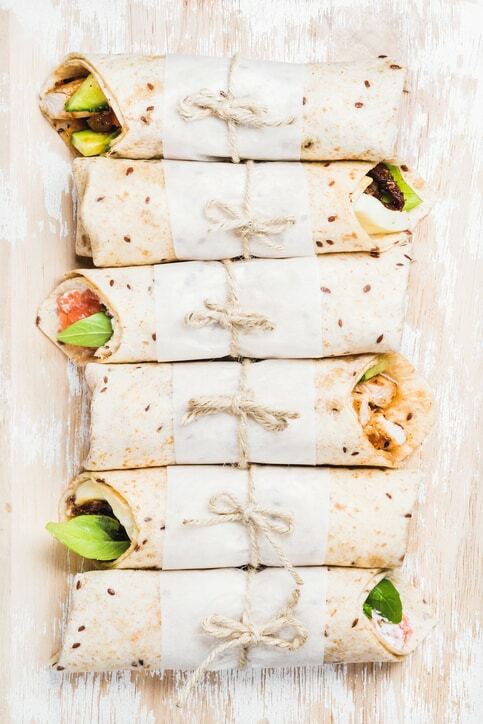 Whole grain: oats, whole grain bread, whole grain wrap or pita, brown rice, quinoa, corn on the cob, yam/sweet potato etc. When it comes to camping foods, you want a nice balance between convenience, fun and nutrition. 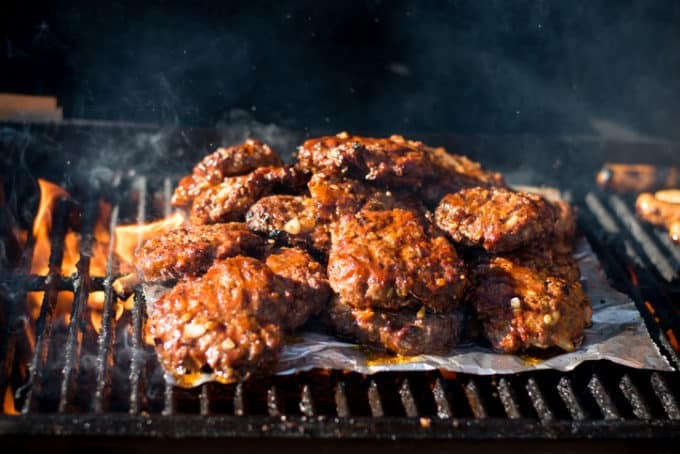 You want to enjoy your those delicious camping foods like hamburgers, hotdogs and smores, but not go overboard and completely neglect your health. 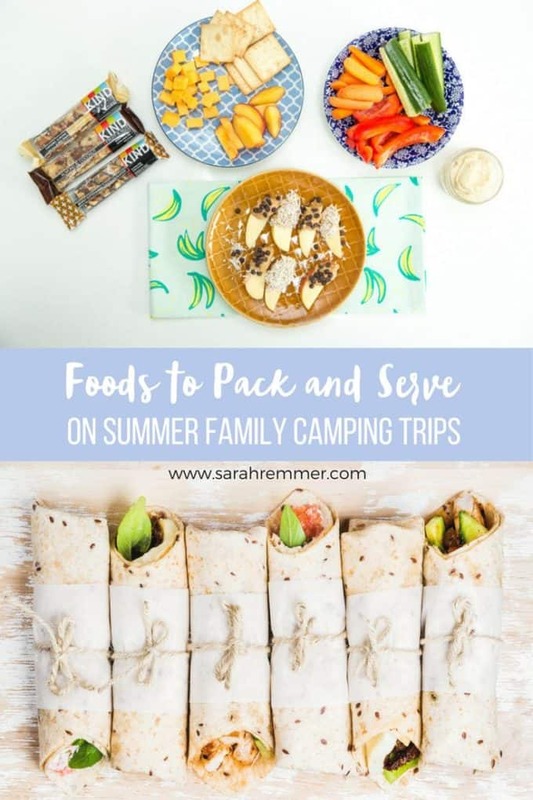 I follow the 80/20 rule while camping, making sure to reserve one or two meals for my not-so-healthy faves like hotdogs, and then striking a balance by serving raw veggies with dip alongside it, and making more nutritious meal choices the rest of the time. Overnight oats, complete with greek yogurt, berries, milk and almonds (I use small mason jars for individual portions). Pre-homemade whole grain pancakes, french toast or waffles that you just have to reheat in tinfoil over the fire! Homemade hamburgers (pre-make the patties and freeze them at home, and bring them in the cooler) + salad or raw veggies. Loaded Baked potatoes/yams- wrap in foil and cook over the fire or on a camp stove (add cheese, black beans, salsa). Prepared meals: Try making a casserole or chili before leaving for your trip. Once cooked, portion out into small containers and freeze. Defrost in cooler. Tip: Freeze your meat (chicken, steak, hamburgers etc. ), and seal in freezer bags, before you go, so that it keeps the cooler cool (along with the foods inside) and is ready to grill when you are. 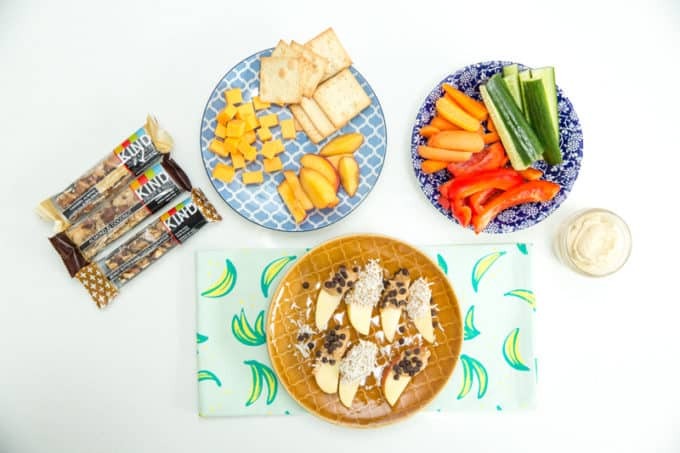 For snacks, make sure to include a protein-rich food, paired with either a fruit or vegetable OR a whole grain (see examples below). Buy and pack pre-packaged chopped/raw veggies like snap peas, carrots and mini cucumbers (with dips like hummus or tzaziki), as well as hearty fruits that won’t bruise easily or take up cooler space such as apples, pears, melons that you can cut up when you’ve reached your destination. 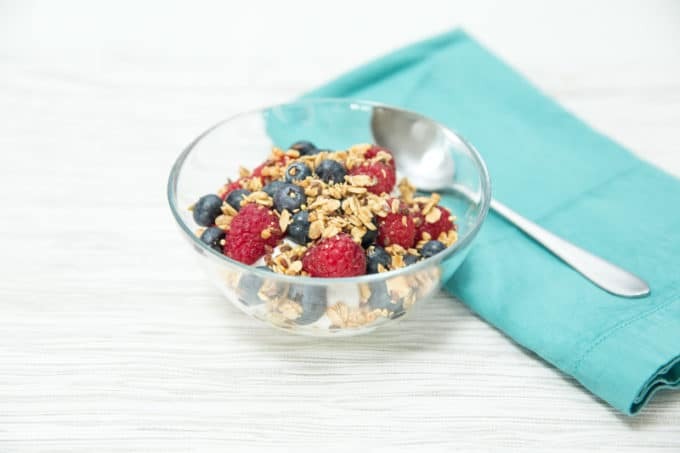 Stock up on non-perishable nutritious snacks such as low-sugar granola bars (my favourite is KIND bars), nuts like almonds, seeds, homemade trailmix, unsweetened dried fruit, and unsweetened fruit and veggie sauces or pouches. 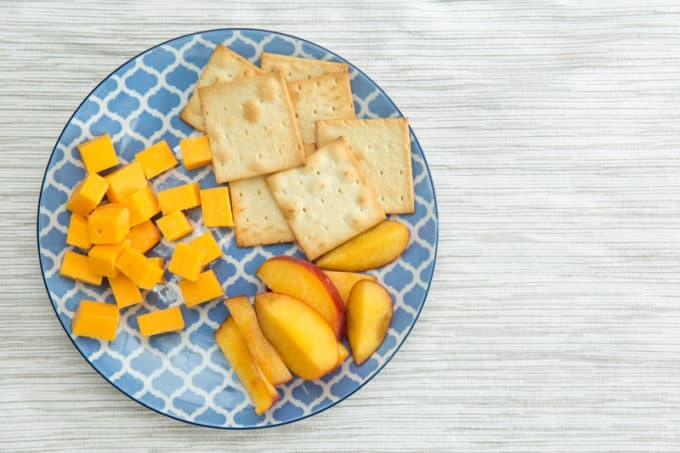 Pack your cooler full with nutritious perishable snack foods like individual yogurts and cheeses, no-bake energy balls, cut up fruits and veggies and dips, and hardboiled eggs. Try to limit the amount of less nutritious “typical camping snacks” such as potato chips, pretzels, candy, pop etc. not only because they’re not very nutritious and high calorie, but also because they don’t really fill you up, so you can eat a lot without really noticing. Instead, pack indulgent foods mindfully, choosing ones that you love and can’t live without (for me, this is smores!) and enjoy it. 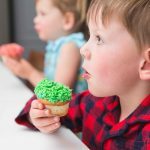 For more family nutrition tips and easy recipes, visit my facebook page and instagram feed! 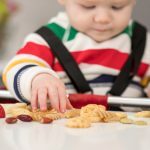 Should you feed your children organic foods? 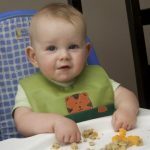 When Should I Introduce My Baby To Solid Foods? 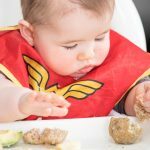 Introducing Your Baby to Solid Foods! Very cool! Thanks for sharing this useful info! Love all these tips Sarah! They will definitely come in handy this summer! 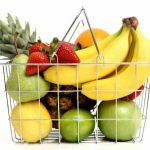 Great ideas for healthful eating while camping! Sounds like a good idea to bring a Yeti to keep it all cool!! I don’t camp, but I glamp! These are great ideas for the cabin! It’s really helpful for me. I have a camping plan in next month. Thanks Sarah for sharing such great ideas.